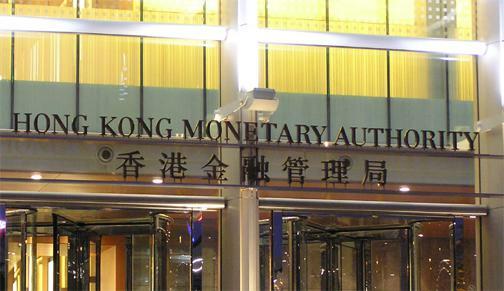 The Hong Kong Monetary Authority, the region’s currency board and central bank, is set to launch a live blockchain-based trading platform in September. The banking project is backed by HSBC, Bank of China, ANZ, DBS Bank, Bank of East Asia, and the Hang Seng Bank. According to Reuters, Howard Lee, HKMA’s deputy chief executive, has hailed it as the largest multi-bank blockchain project of its kind in Hong Kong, and the result of the institution’s 2017 resolve to develop a proof-of-concept (POC) financial system. He also revealed plans to link up other trading platforms to the network to provide greater coverage and facilitate cross-border trades. The technology is being developed by Ping An OneConnect with Deloitte as the official project consultant. The platform is built using a permission-based Hyperledger Fabric 1.1. system. Acceptance tests are ongoing with the first product set to support open account financing, enable banking institutions and companies to submit financial orders and invoices, and provide financing. In 2017, when testing began, the main objective was to develop an application that would be based on distributed ledger technology. It would reduce risks associated with fraudulent trades and provide greater transparency within the banking industry, as well as detect duplicate financing. According to HSBC’s head of growth and innovation, Vivek Ramachandran, the latest announcement is a testament to how blockchain technology can help counter banking inefficiencies. Last year, Singapore and Hong Kong made a blockchain oriented deal to open up trade between the two regions, and the new platform is set to realize this objective. In October last year, Hong Kong and Singapore’s central banks, HKMA and the Monetary Authority of Singapore (MAS), respectively, outlined plans to link up trading networks via a blockchain platform to overcome errors and fraud, as well as strengthen trade. According to Norman Chan, head of HKMA, the new technology would replace the inefficient paper-based system. Letters of credit, for example, have been a major hurdle facing trade between the two Asian nations. Their purpose is to reduce the risk of fraud between exporters and importers but involves a lot of bureaucracy and paperwork, leading to a significant loss of time. The letters are, however, responsible for guaranteeing an immense $2 trillion worth of trade transactions. As such, a change in the platform would have far-reaching effects. Market players expect that the new blockchain platform will validate a greater number of transactions between traders more effectively.